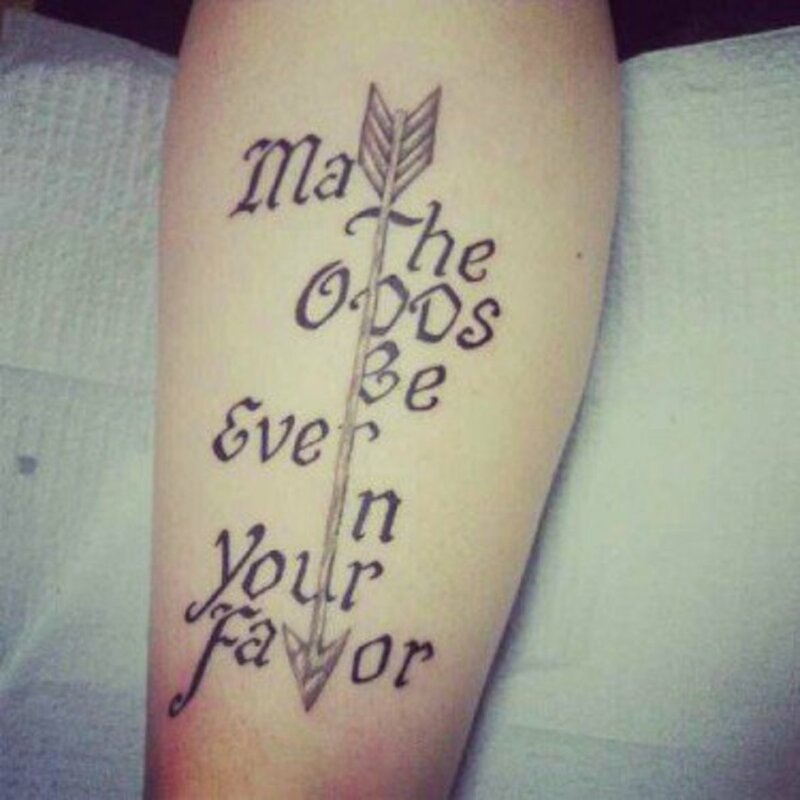 This past weekend the highly anticipated The Hunger Games: Catching Fire starring Jennifer Lawrence made a whopping $161 million at the box office. 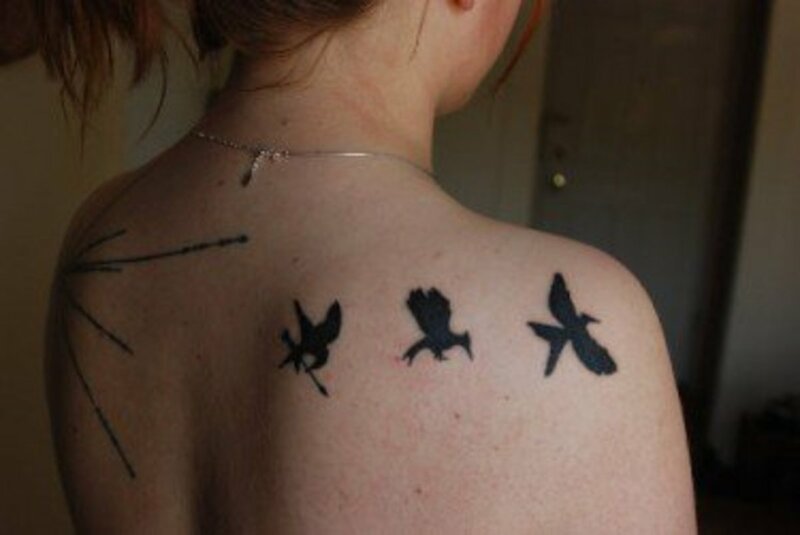 Based on the best-selling books by Suzanne Collins the series has captivated the minds of millions of people, many of whom have paid tribute to the series by getting inked. 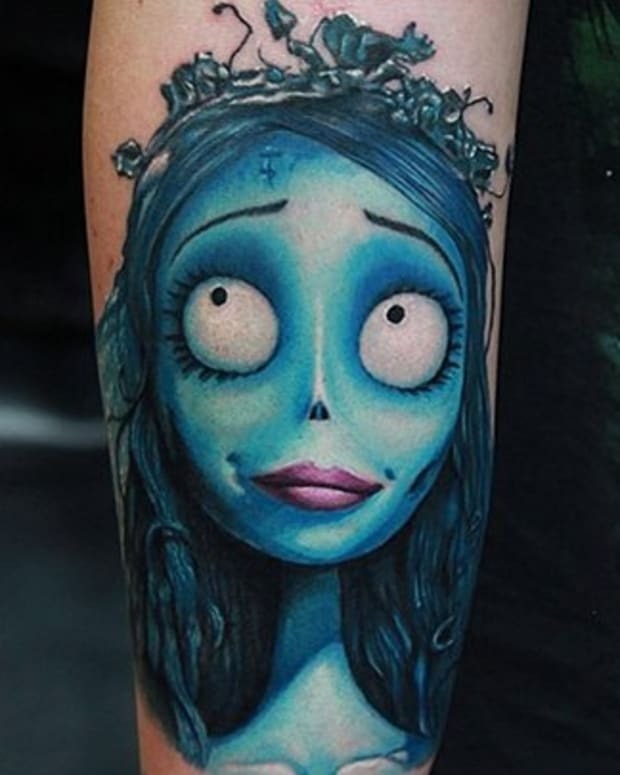 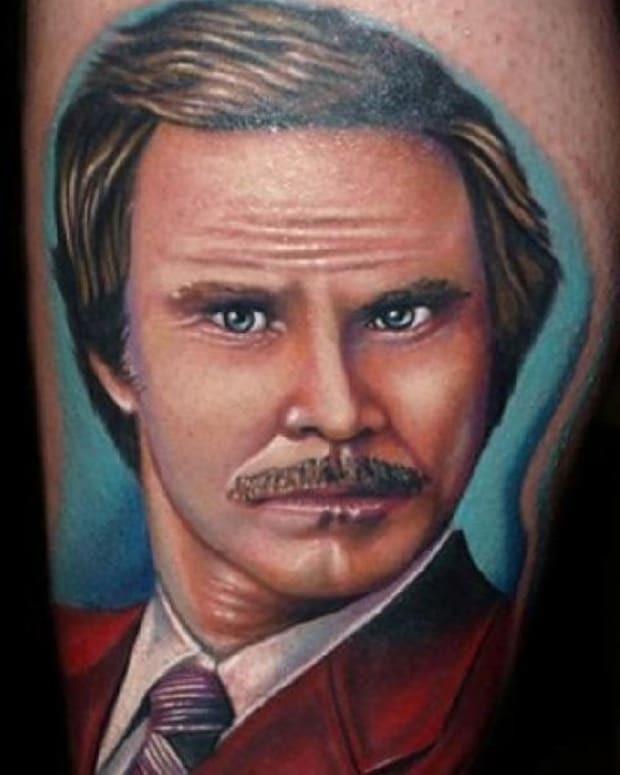 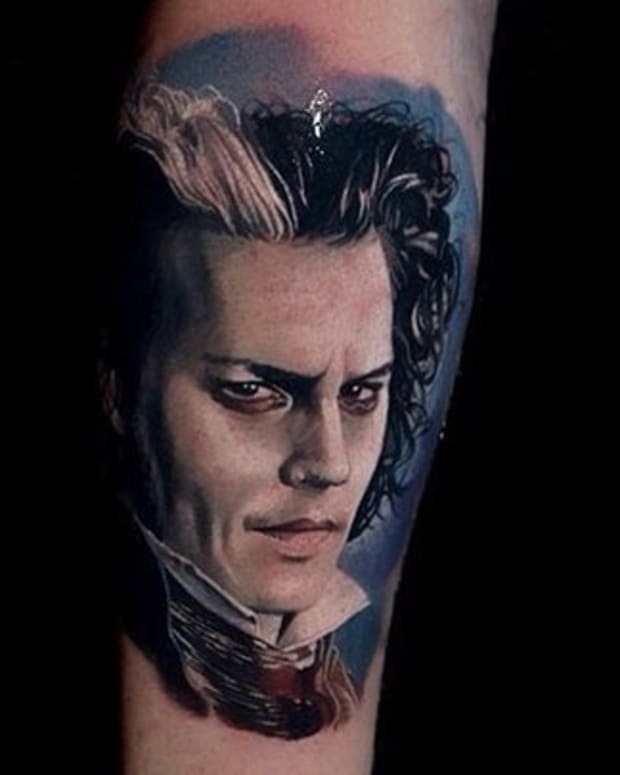 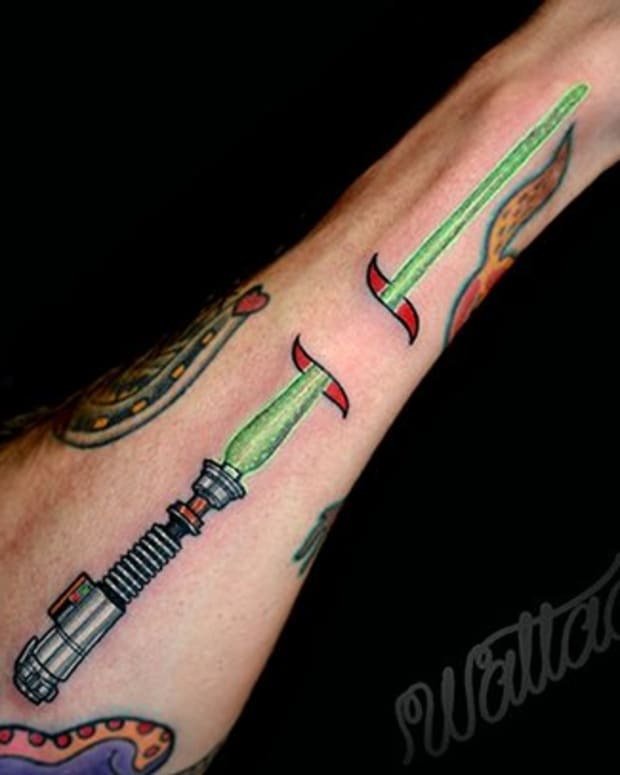 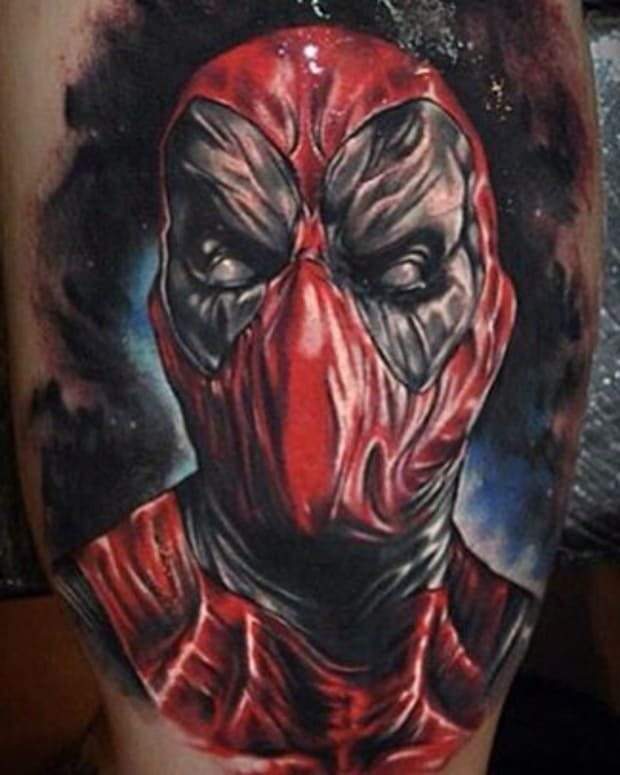 Check out this gallery of tattoos that would make the fashion conscious citizens in the Capitol go wild. 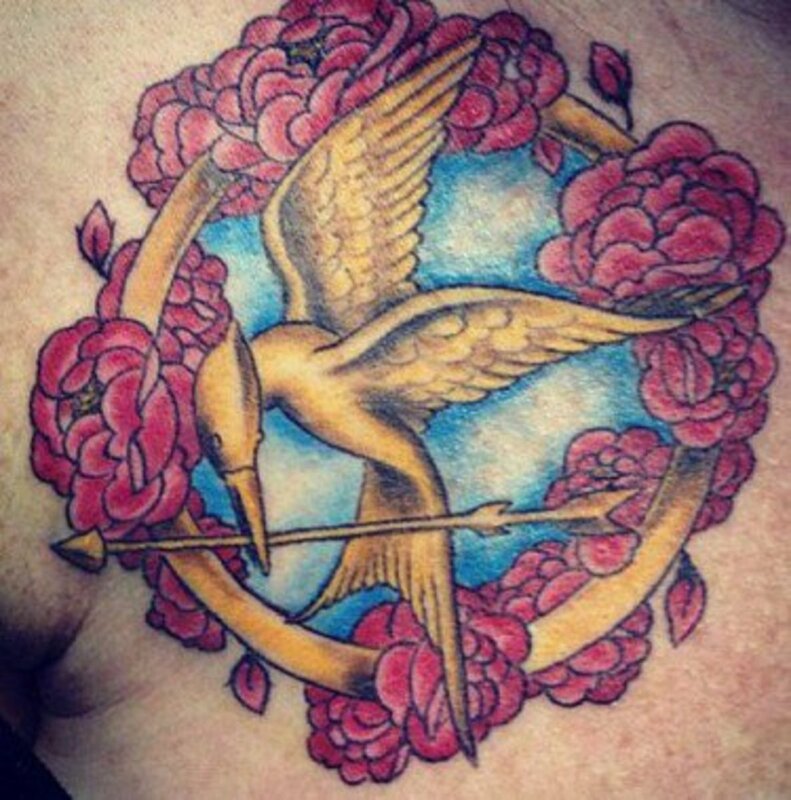 The mockingjay pin that Prim gives to Katniss wrapped in flowers. 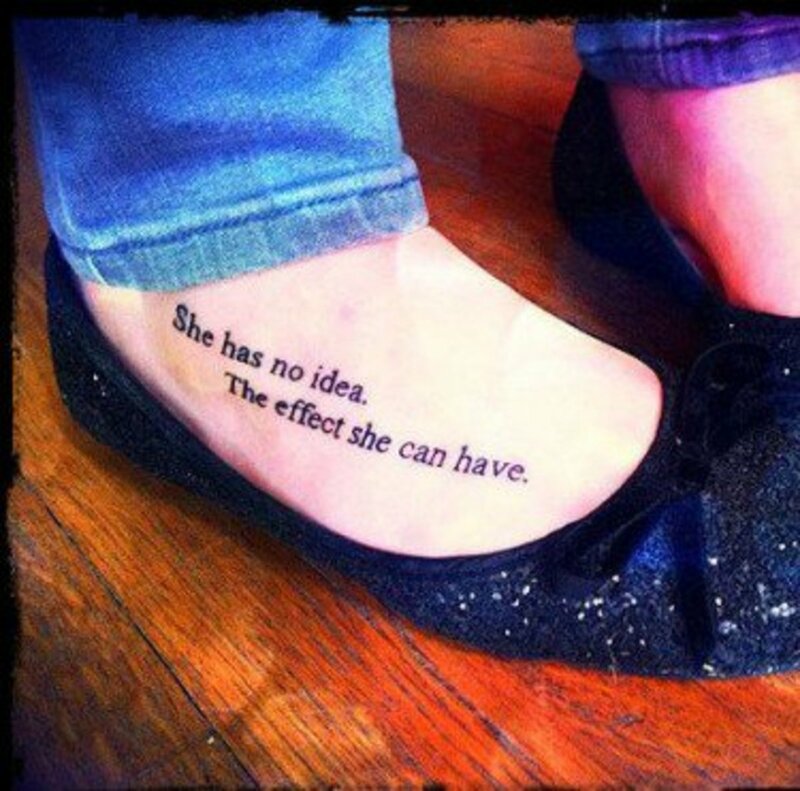 This quote works as well in normal life as it does when spoken by Effie Trinket prior to choosing the tributes. 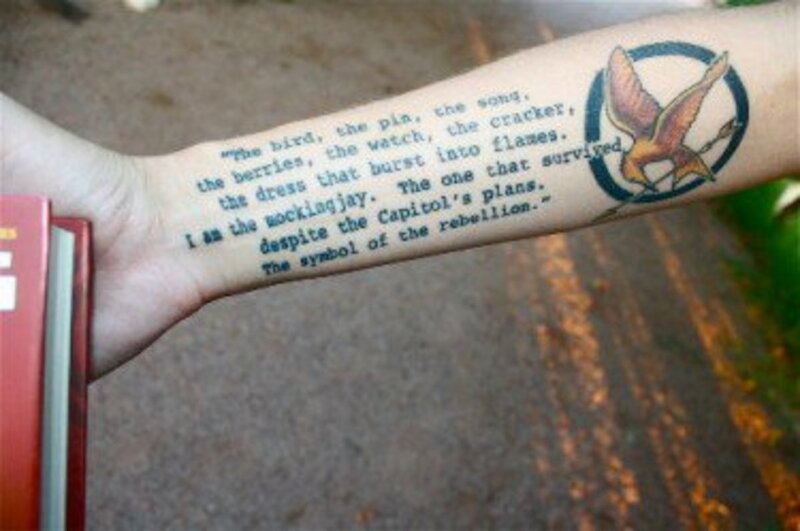 This piece is a cool variation on the mockingjay theme. 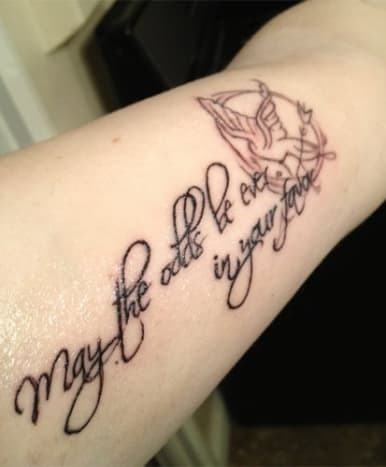 This tattoo quotes Finnick, a tribute from District Four who used a trident and helps Katniss and Peeta. 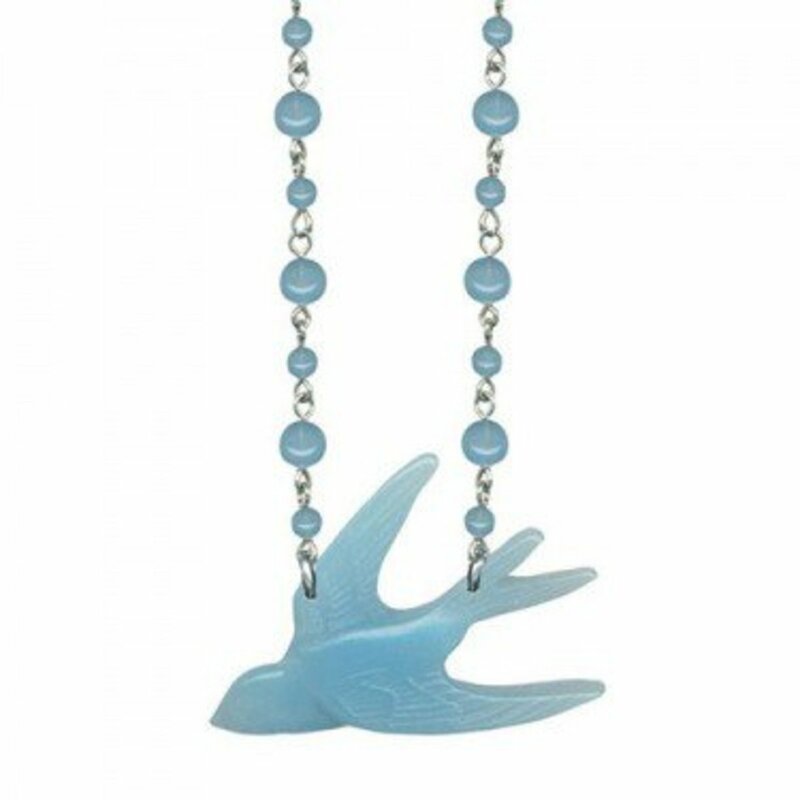 This Small Swallow Retrolite Necklace by Classic Hardware is reminiscent of the mockingjay. 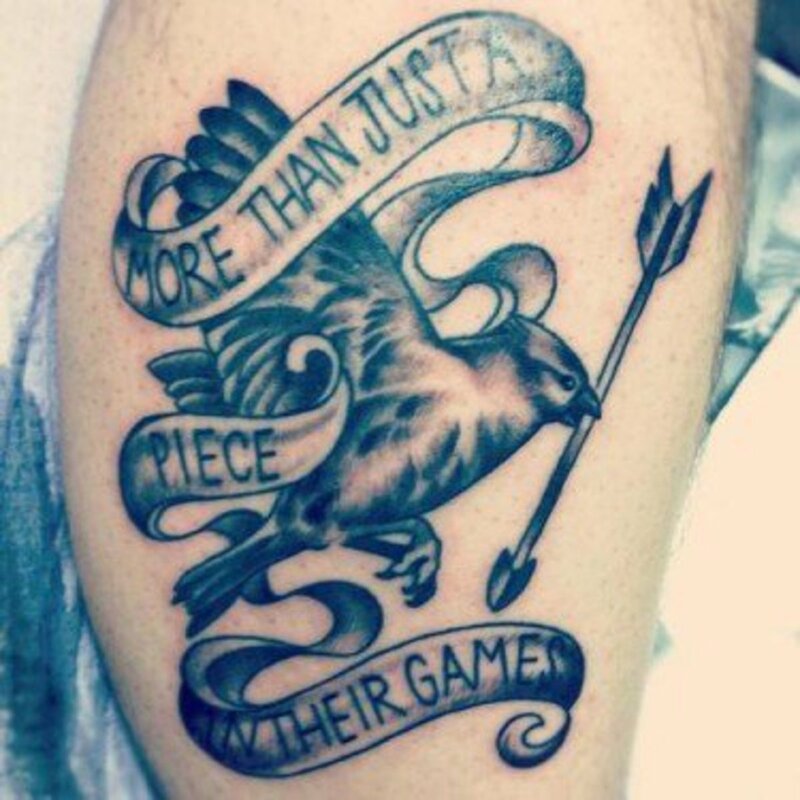 This clever tattoo uses the arrow to stand in for some of the letters in the famous quote. 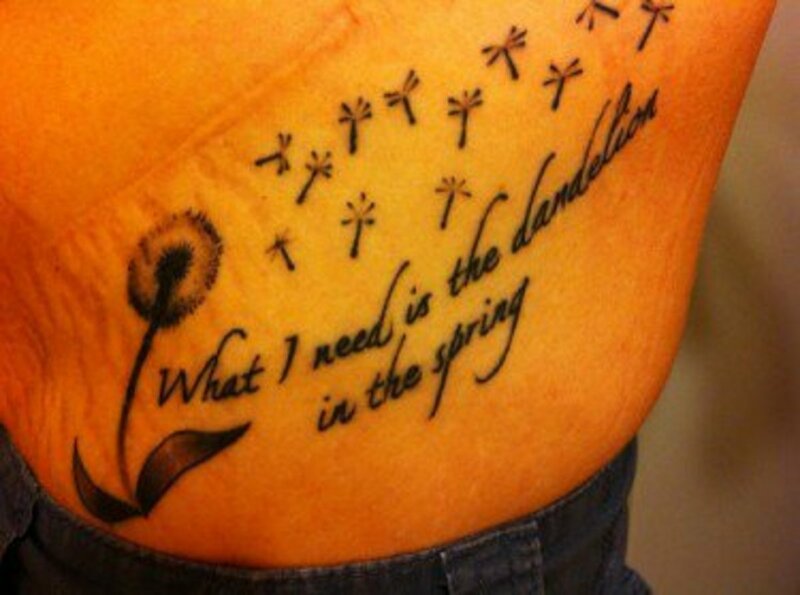 This quote embodies Katniss at her most defiant. 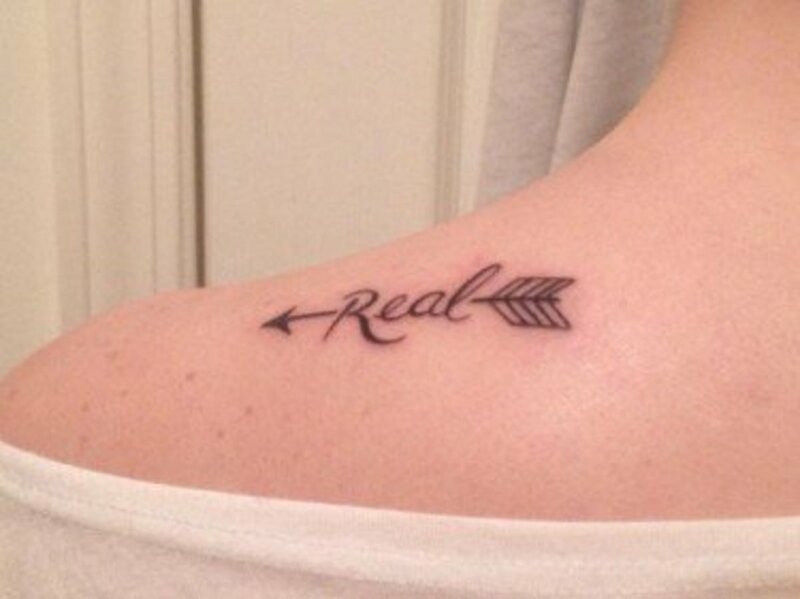 Sometimes it&apos;s difficult to tell what is real and what is not real. 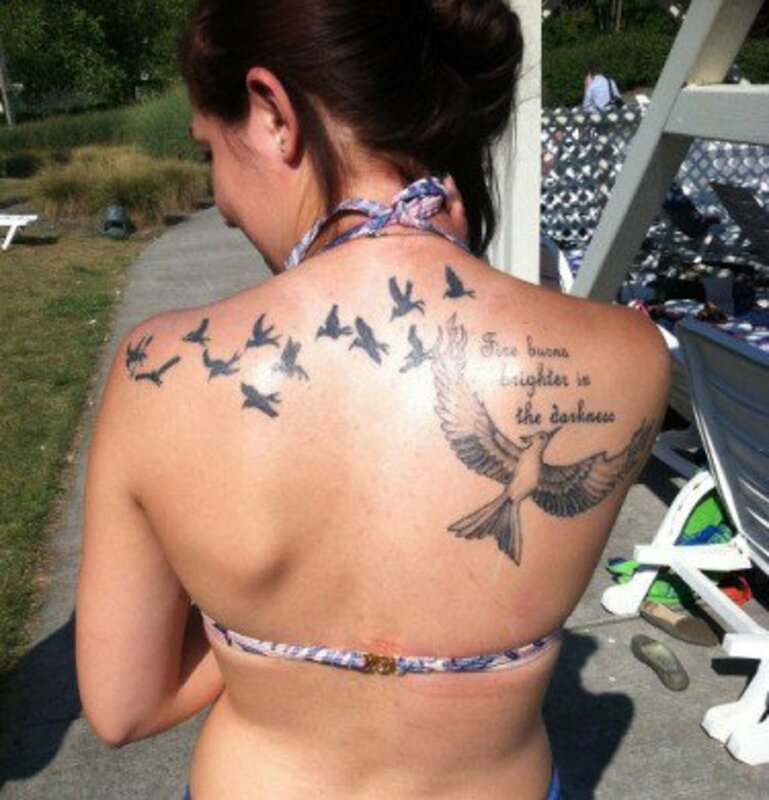 Show off your Hunger Games tattoos in this Women&apos;s Butterfly Sugar Skull Tattoo Tank by Pinky Star. 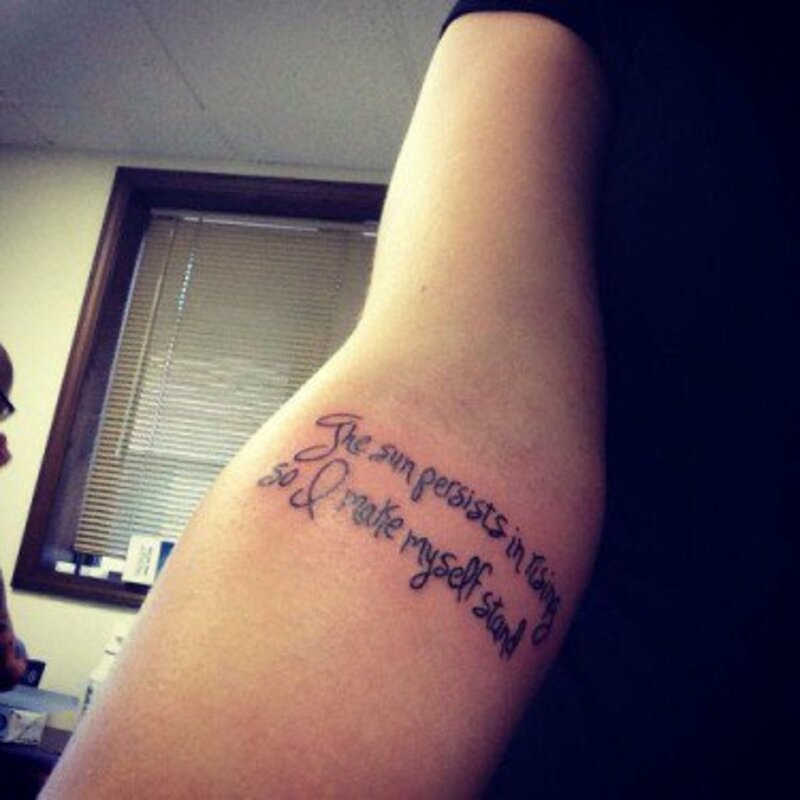 This quote from Katniss embraces the idea of rebirth. 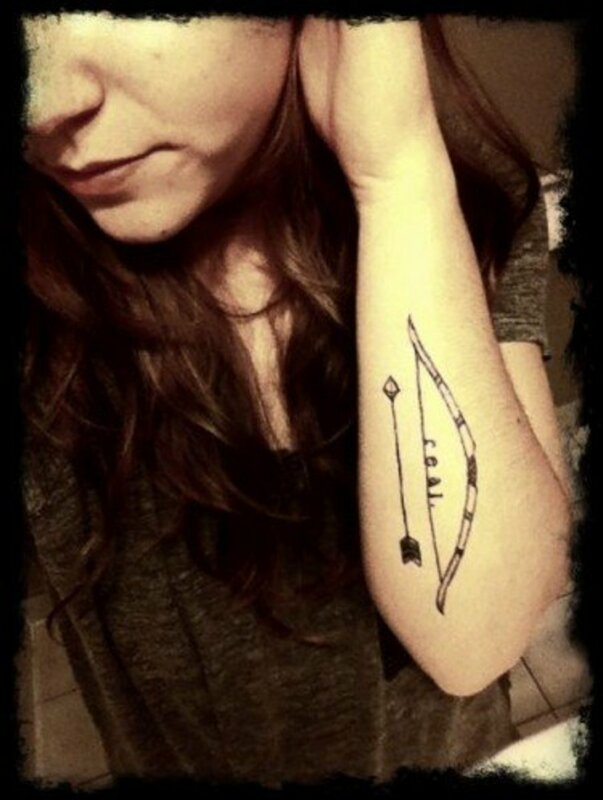 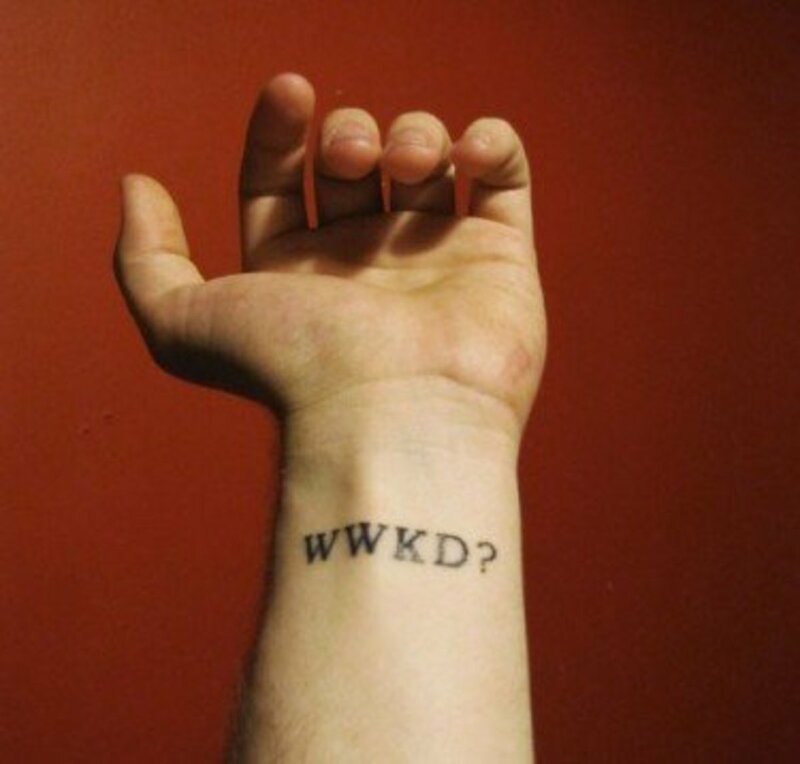 This tattoo shows off the Katniss&apos;s favorite weapon. 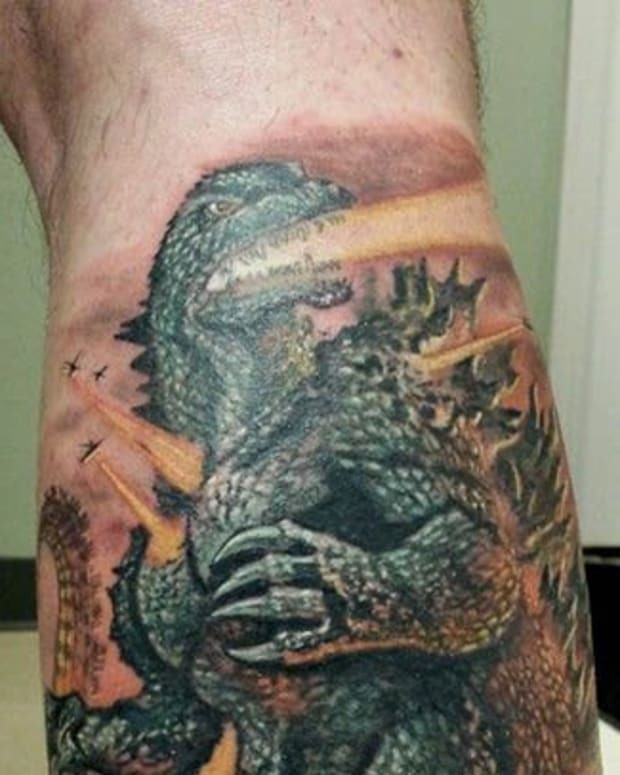 This tattoo is literally catching fire. 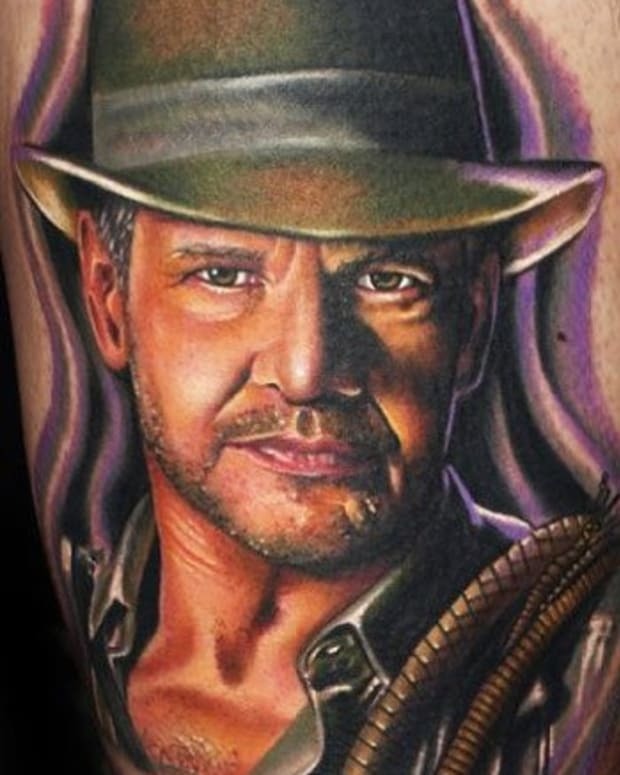 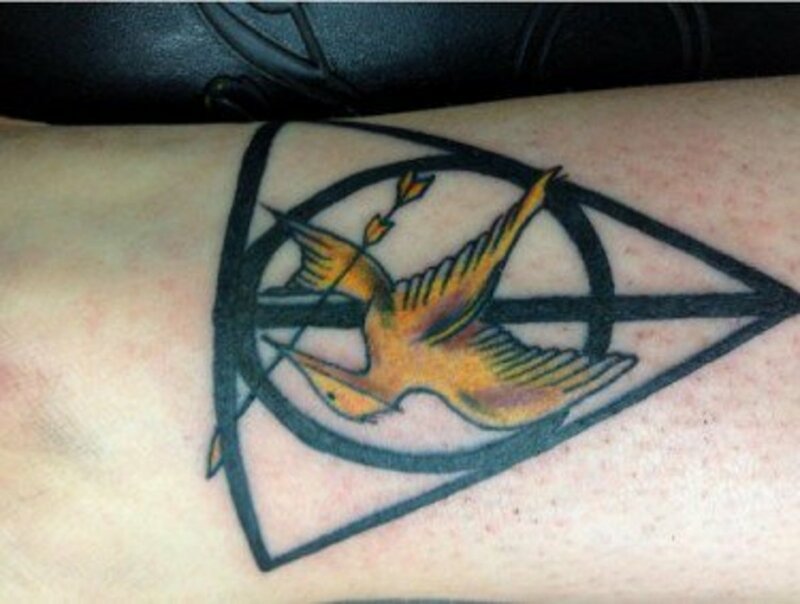 This tattoo combines "The Hunger Games" with another beloved book franchise, "Harry Potter". 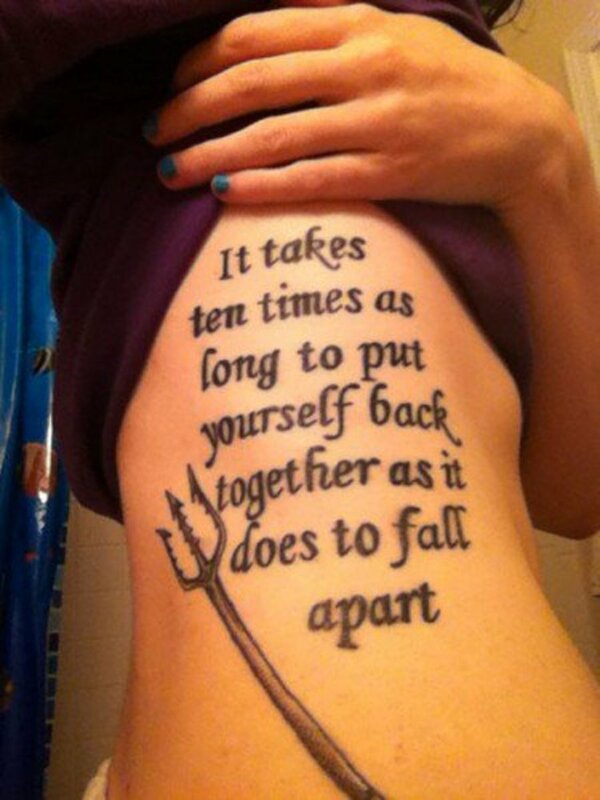 A good sentiment to remember when times are tough. 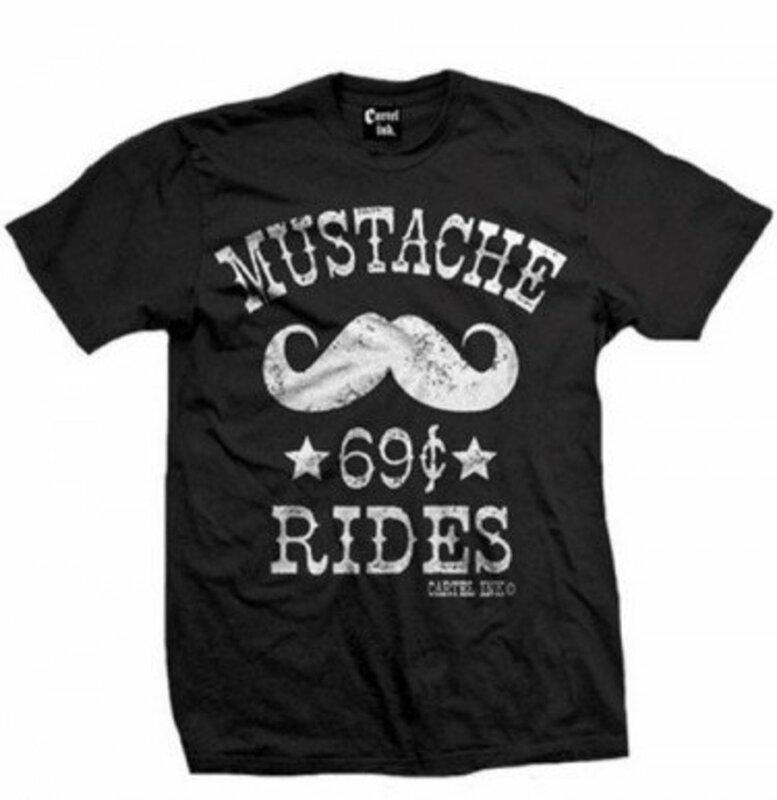 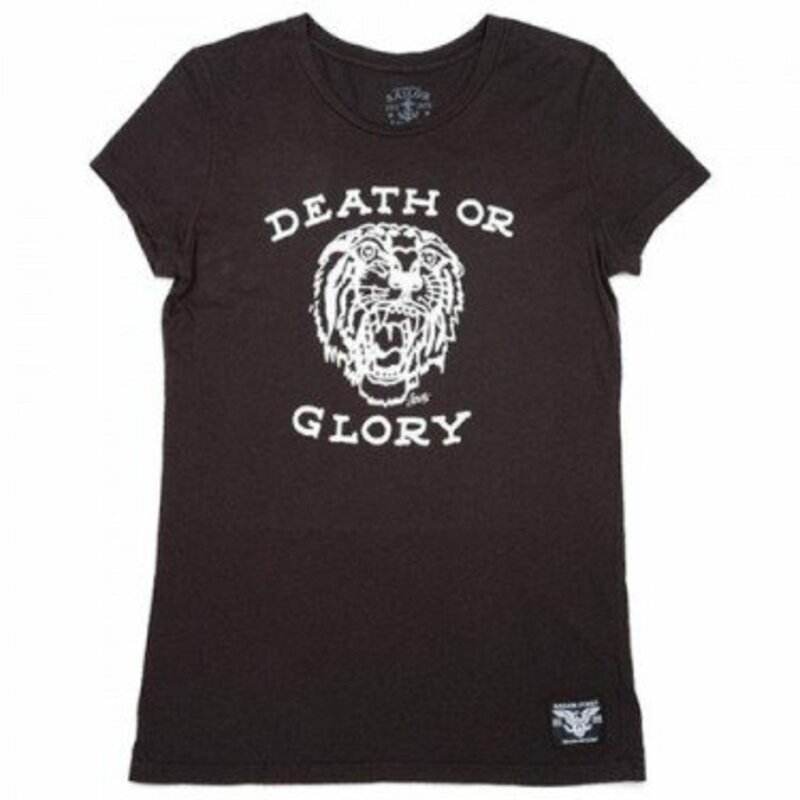 This Women&apos;s Death or Glory Tee by Sailor Jerry would be more than welcome in the arena. 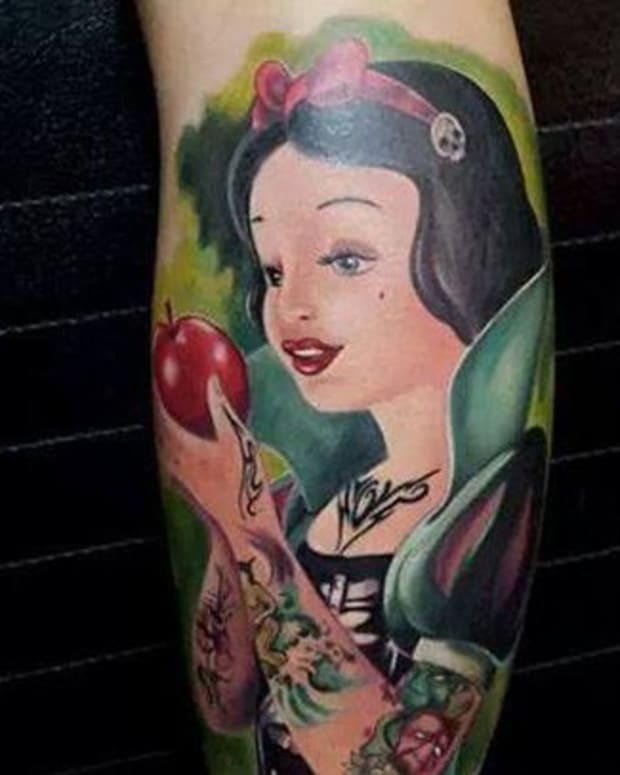 Many people have no idea how powerful they can be.